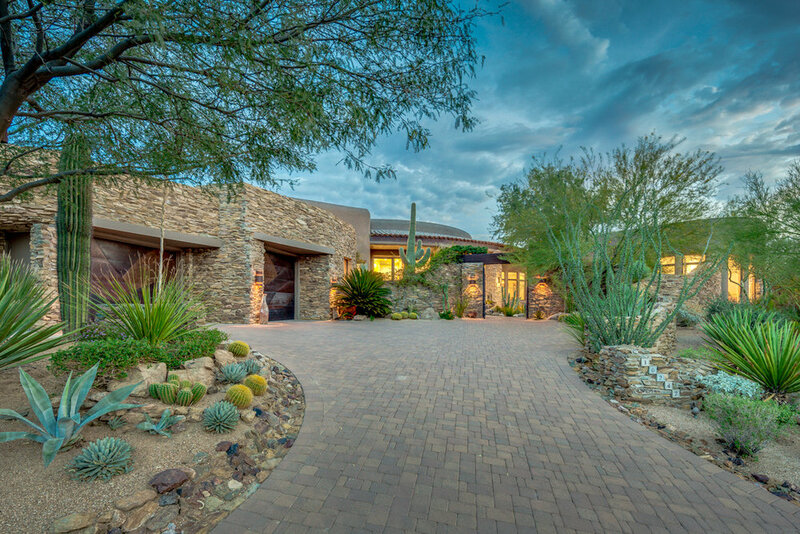 One-of-a-kind custom Southwest home in Desert Mountain, designed by Lee Hutchinson. Striking open floorplan, custom lighting and ceilings, masonry fireplaces throughout. Glass walls open completely for an incredible indoor/outdoor experience. Dream kitchen features granite countertops, multiple sinks, garbage disposals, dishwashers, ovens, Wolf appliances, and built-in espresso maker. Custom 1-bedroom, 1-bath casita includes a living room and its own fireplace. Huge covered patio with built-in grill. Heated infinity pool and spa that overlook the desert preserve and spectacular sunrise and moonrise views. Two outdoor seating areas with fireplaces and built-in televisions. Tandem 3-car garage with custom doors. Property is a 5-min walk to Cochise and Geronimo golf courses and club house.